350z Vs 370z – What’s Best? 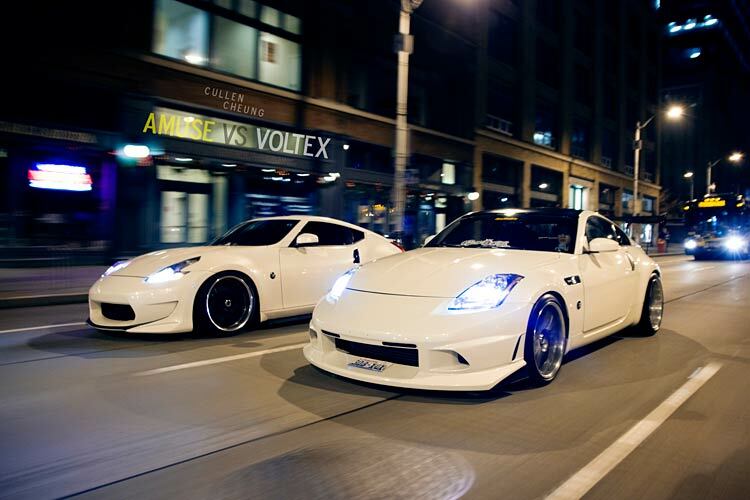 Not sure whether to go with the Nissan 350Z or 370Z? Or just curious about the differences? We’ll answer your questions in our ultimate 350Z vs 370Z guide. As we kick off our guide, we’re going to answer some of the most commonly asked questions when it comes to choosing between the Nissan’s 350Z and 370Z. Click on a question to reveal the answer, or scroll down and read through to gain some Z-car knowledge! 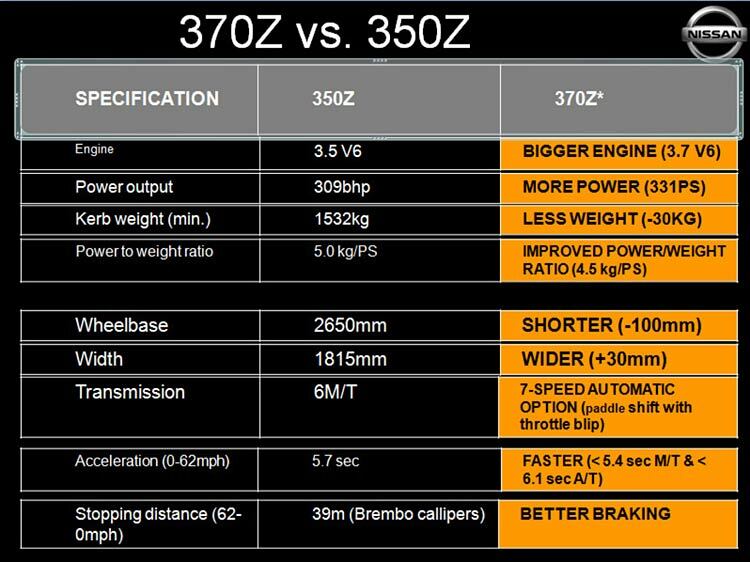 What are the differences between the 350Z and the 370Z? How fast does a 350Z go? 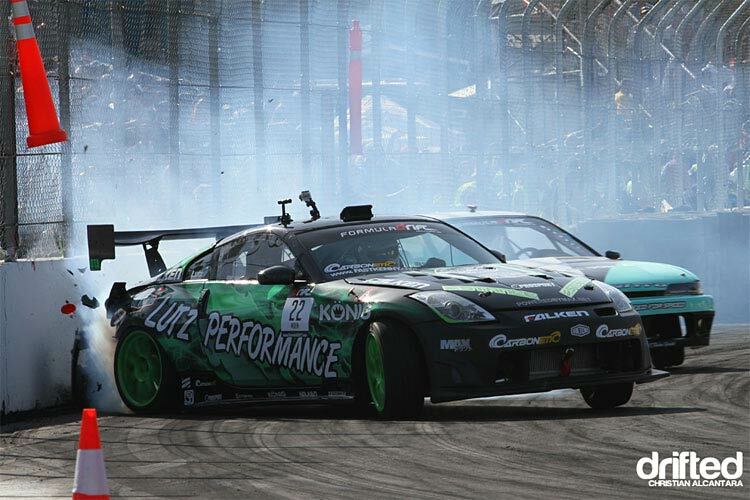 How much horsepower does the Nissan 350Z have? What kind of engine does a 370Z have? Is the Infiniti G35 the same as a Nissan 350Z? Should I buy a 370Z or a 350Z? Is the car going to be your “sensible” daily driver? What’s best for straight line speed? Is it going to be a drift/track day car? What’s the best value for money? We always love cars which have a story behind them, and the Nissan (or Datsun) Fairlady Z certainly makes for one of the most epic reads in the JDM world. With what started out as the cherished Datsun 240Z, in 1969, it has continued to captivate its target audience to the present day, with 370Z’s still rolling out from showrooms around the world. In true Japanese fashion, the 240Z was named after its 2.4-liter straight six engine. This has continued to the present day, where the 350Z carried a 3.5-liter V6 VQ35DE before being upgraded to the VQ35VHR and the 370Z later continuing the trend with its 3.7-liter VQ37HR powerplant. Following the 240Z came the 280Z, and from there arrived two generations of the more-commonly known 300ZX. From there, the highly acclaimed fifth-generation, 350Z, arrived in 2002 and the sixth-generation, 370Z, in 2009, forming the latest iteration in the historical line of Z cars. The 350Z was an instant hit with motoring enthusiasts, and despite not being the fastest car on the market, it gave a true sports car feel at an affordable price for those who wanted something a little larger and less hairdresser-orientated than a Miata. 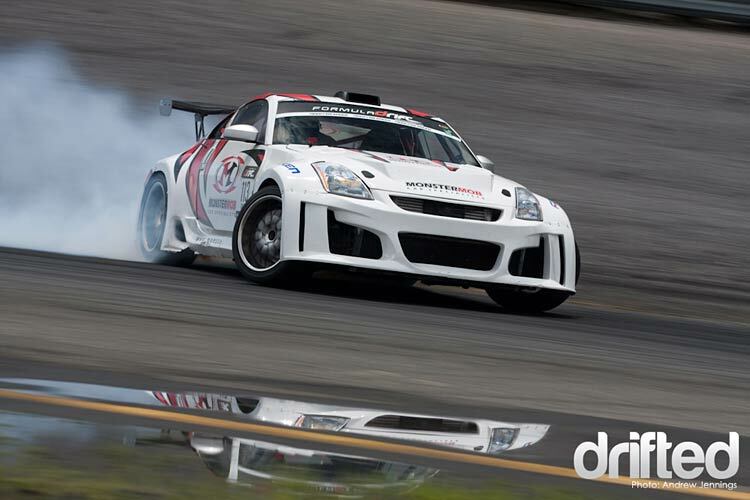 When the 350Z was released, the race-bred front-engine, rear-wheel drive two-seater layout gave many enthusiasts a reason to rejoice as there was nothing quite like it available on the market at the time. It quickly became an ideal choice for multiple requirements, whether it was drifting, racing, or simply a weekend car for the canyon run. 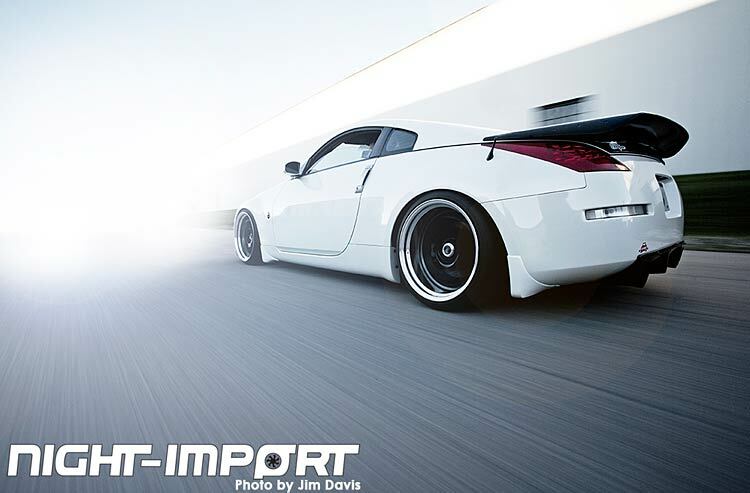 Fast forward to the present day and potential buyers are spoiled with two fantastic options, the 350Z, and the 370Z. There’s no doubt that these cars are similar, some would even say that the 370 is almost a 350 MKII, however, there are still some major differences between the two. If you’re stuck with choosing which one suits you, we’re going to help you out by explaining some of the most significant deciding factors. Truth be told, despite the age gap and price, the two are very similar cars. 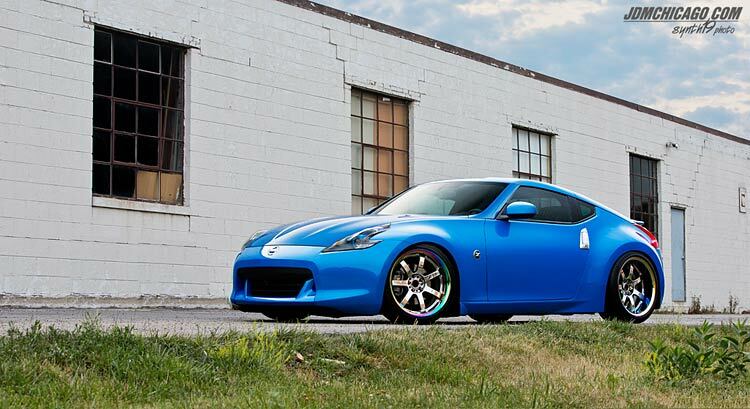 Think of the 370Z as Nissan’s opportunity to update everything which had become outdated over time on the 350. Car styling has changed a lot over a short space of time, yet the original design of the 350 is still very prominent. It’s almost as though the 350Z got fast-forwarded in time and handed some more stylish head and tail lights, better wheels, a bigger booty, and a rear diffuser. However, it’s not until you start opening doors that you see some of the bigger changes. 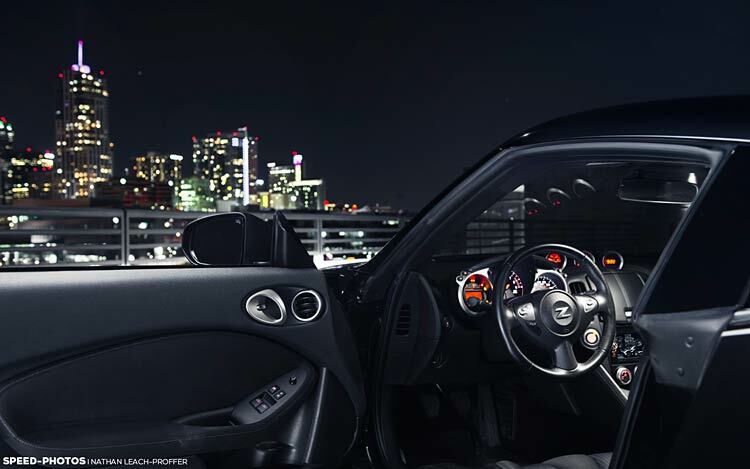 The first thing you’ll notice is the updated interior of the 370Z. Nissan got rid of most of the cheap plastics which dominated the interior of the 350Z and replaced it with premium-feeling softer materials. This undoubtedly helps to hand it a wider appeal than the more intense sports-car feel of the 350. Back then, fancy lights, buttons, and gadgets weren’t quite such a priority. 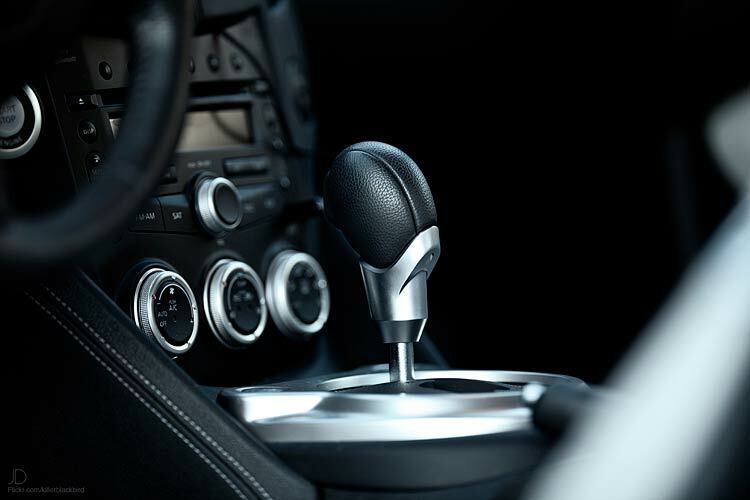 Move onto the gearbox and you’ll find that the automatic transmission gained two gears, going from 5 to 7, which allows for the 370Z to maintain the same, or perhaps increased, MPG even with the additional power and engine displacement. Wheel-mounted paddle shifters were finally introduced, which gave the car an even sportier feel. What wasn’t immediately obvious by looking at it were some tasty features such as the SynchroRev match feature, which blipped the gears to rev match perfectly without the need to use heel-toe driving techniques. From the outside, the 370Z sits a little lower, it’s slightly shorter and wider, yet Nissan has managed to bring the curb weight down to give it a 61lb weight loss on the scales. This might not sound much, but it makes for a different driving experience which is more akin to the original 240Z’s proportions. From a driving perspective, they have squeezed out a little extra power, increasing the 309hp found in the later 350Z’s to a respectable, yet not mind-blowing 332hp, and 350hp for the latest Nismo versions. The improved power-to-weight ratio alongside with the updated engine, transmission and adjusted wheelbase unsurprisingly make it a quicker, more refined car. Once you need to come to a stop, the uprated brakes will ensure there’s (hopefully) no dramas. 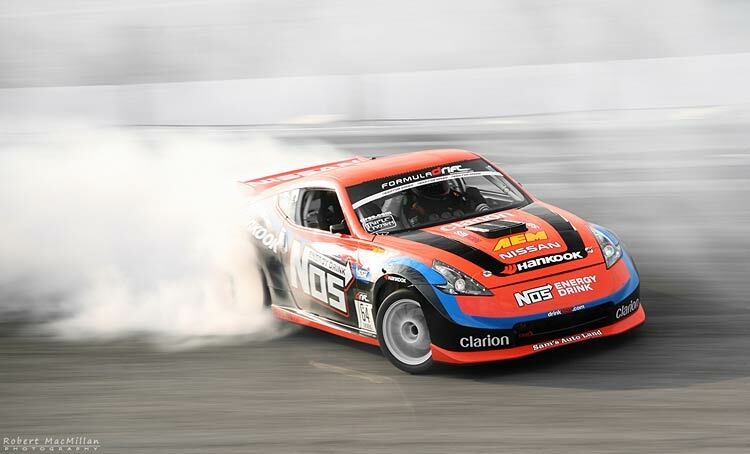 The top speed of a Nissan 350Z with a VQ engine is 155mp/h or 249kp/h. It may have more power under the hood, but the 370Z is capable of exactly the same top speed, so if it’s top speed you’re after, there’s no difference between the two. You can, of course, expect the 370Z to get there fractionally quicker though. The original 350Z had a VQ35DE engine and pushed out 287 horsepower, with the 2007-revised VQ35HR engine, it was capable of 306 horsepower. The 370Z undoubtedly wins once again here with its 331 horsepower output. The 370Z is powered by Nissan’s 3.7-liter V6, VQ37VHR engine, which provides 332hp, or 350hp with the revised NISMO upgrade. While the VQ37VHR is undoubtedly the most powerful of them all out of the factory, all three engines take extremely well to modifications. Some owners have achieved over 850hp on highly-tuned cars showing off the huge potential of these impressive engines. Despite being built on the same platform, the G35 is a much larger car which is intended for the luxury market, with the 350Z aimed at the sports-car sector. If you’re looking for all-out fun, setting quick lap times or throwing it sideways, there’s no real competition between the two in stock form. It’s the same situation for the 370Z when compared to the G37, too. The G-series may well be better for some needs and is extremely popular in the VIP/stance scenes but it’ll take a lot more work to get it laying down impressive lap times. Ah, the million dollar question (well, not quite, thankfully!) Well, you’ve probably noticed that the whole way through our guide so far, we’ve been swaying towards the 370Z. On paper, there’s not really any question that the 370Z is the better car, after all, it’d be pretty disappointing if it wasn’t! However, let’s get real and think about what car is best for your needs. You’re going to want to consider many factors, so we’re going to answer a few of them here. If the answer is yes here, then the 370Z is most likely to be best for your needs. Let’s face it, the 350Z is a far less convenient place to be on a daily basis, with an outdated interior and a more ‘raw’ driving feel, you’re probably not going to be appreciating those too much whilst being reminded every couple of minutes in the morning traffic jams. The 370Z was designed with daily driving in mind, is a pleasant and comfortable place to be and a more refined simple driving experience. On top of that, we can’t question that the 350Z is aging and with a lot of them reaching higher mileage, reliability may well become an issue. Not only that, but the warranty is going to be well and truly expired, which will undoubtedly mean your pocket getting a little lighter than you’d like. This has to be one of the most important factors, with many points to consider. If you’re buying your 370Z brand new on a payment plan, chances are you’re not going to be allowed to modify the car. You’re also probably not going to have huge amounts of cash left over to throw at it, either. However, this is where the 350 really becomes the more tempting proposition. Prices are at an all-time low right now, and with the 370 continuously depreciating, chances are you’re not going to lose much money if you sell your 350 in a couple of years, unlike the 370. There are also going to be some serious bargains on the market with modified 350s, where owners have perhaps already made the jump onto the 370Z, or another car. There’s a huge range of modifications available for both cars, but it all depends just how much you want to change the car from how it left the factory. We have guides to show you all the best mods you can fit on these cars, to help you assign a budget if you’re looking to carry out the work yourself. 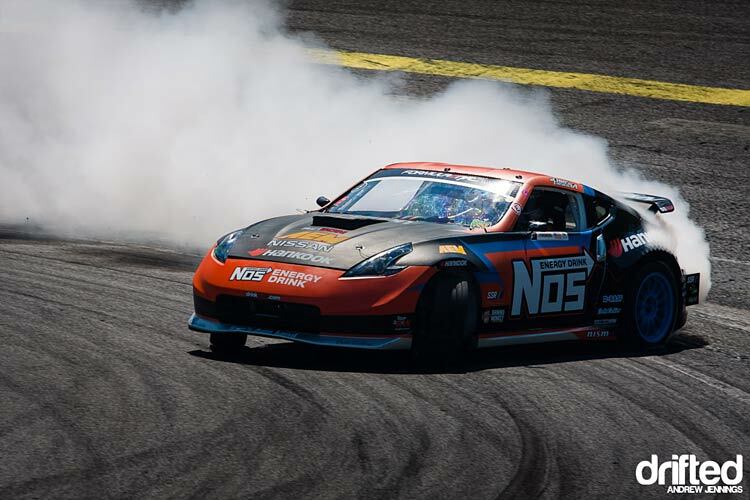 Since the 370Z is lighter and has more power, it’s going to be faster in a straight line. However, let’s say your buddy in his 350Z is running a tasty twin-turbo setup, there’s no real question who’s then going to become the winner! 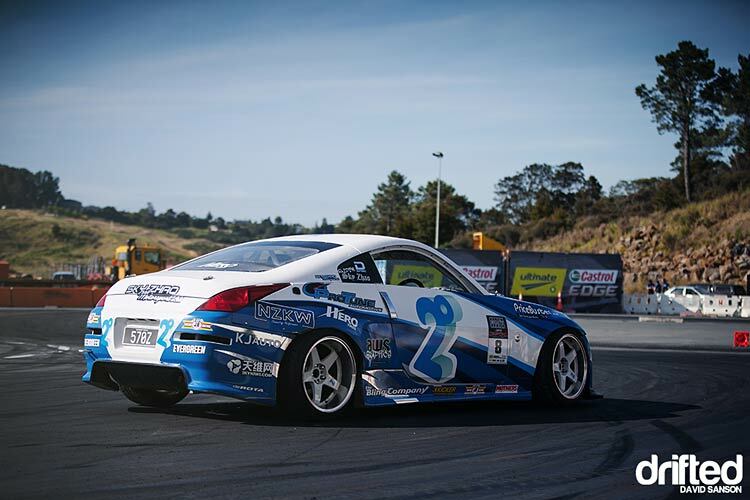 Z-cars aren’t really made for straight line speed, and chances are if you’re keeping it stock, then a lot of tuned cars could well cause an upset at the lights. Despite the typically impressive Japanese reliability of these machines, they, as with all other cars, do have some minor issues which may well be worth considering. The rev-up models of the 350Z’s are known for having some oil-burning issues, and some also had reports of fuel starvation despite having a near-full tank. If you’re looking at getting one, we highly recommend going for the 2007+ models, which also have more power under the hood and an improved engine. In the earliest 370Z’s, which are likely to be the cheapest on the market now, they also had some steering and electrical issues. This may well have been rectified by now but we’d highly recommend looking into it before making you commit. 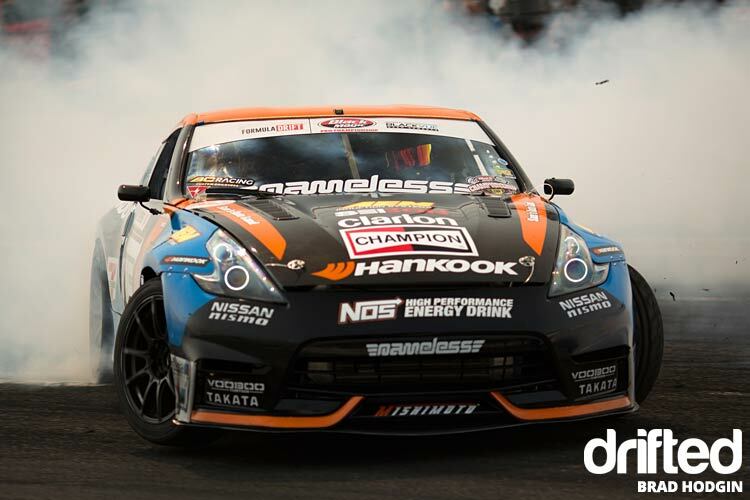 For us, it makes much more sense to turn a 350Z into a drift or track day car, all that spare cash that you saved by not buying a 370 means a s**tload of exciting upgrades. With the 370Z still being relatively new, parts which you’ll inevitably need eventually are undoubtedly going to be substantially higher. Plus, you’re going to need to be pretty determined if you want to rip out the 370Z’s stylish stock interior. Both these cars unquestionably have heaps of potential for both purposes, but from a financial perspective, it makes far more sense to carry out serious upgrades to the 350Z in our opinion. That being said, if you’re brave enough and you’ve had a recent lottery win, feel free to build that epic 370Z you’ve always dreamed of! Unfortunately, when building any track car, you have to be prepared for the worst every time you head there, so we don’t ever want to see Drifted fans taking out huge loans to build their dream car if it could all end with one simple mistake! 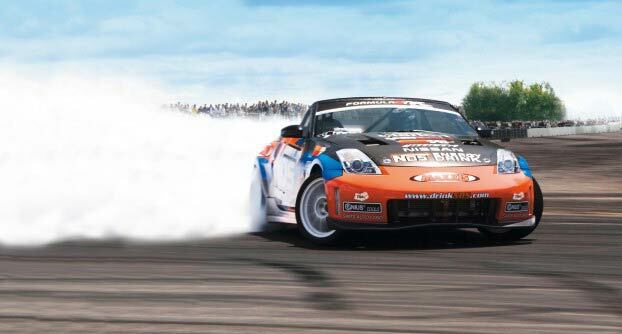 For us, the manual 350Z would definitely be our preferred choice for throwing sideways. Sure, the 370Z has its fancy paddles, but with automatic gearboxes lacking a clutch and that real gear-control, you’re going to feel far less capable when it comes to drifting. Get yourself a bargain 350Z strap some forced induction to it, get clutch kicking to show those auto boys what they’re missing, and you’ll have an extremely capable and great looking drift car for a bargain price. Again, if you have the money, feel free to be our guest if you’re tempted to send your manual 370 sideways. We’d love to see pics and videos! It’s a worthwhile upgrade, undoubtedly, and it’ll turn your Z-car into a whole different animal, but you’re going to want to consider the financial aspect when it comes to forced induction. Not only will you be buying a turbo (350Z), (370Z) or supercharger kit (350Z), (370Z), but you’ll want to make sure you have it breathing right with a capable cold air intake and high-flowing, large-diameter exhaust (350Z), (370Z). What is the best value for money? We don’t really feel there’s much of an argument on this one! We would love to get a bargain 350Z, strip it out, upgrade the coilovers, exhaust, cold air intake, fit a turbo kit and hit the track. There’s no question that the 350Z is going to provide you with huge value for money, and as awesome as the 370Z is, it’s still an extremely recent and modern car. So, you might a little surprised at just how much preference we showed towards the 370Z earlier in our guide, and how the 350Z caught up so much later on, but I feel that this summarises it quite nicely. If you’re in comfortable financial circumstances and you’re able to choose which one you’d prefer to go for, then it all boils down to your future plans. 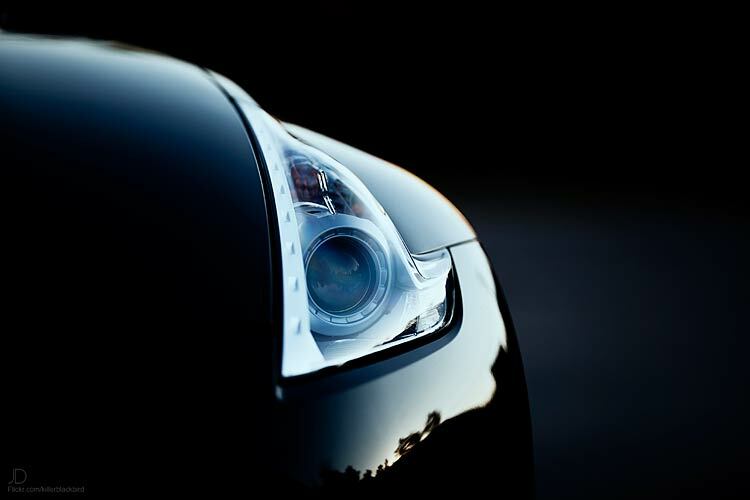 If you’re looking for a brand new car which you can roll out of the showroom and impress the local girls at the club, the 370Z is going to be the ideal choice. Alternatively, if you don’t mind a used car at a bargain price and enjoy that raw-driving feel from an older car, the 350Z is your winner. You can always strap some forced induction to it and make the local 370Z owners hang their heads in disappointment! Why not test drive both? Perhaps they won’t be all that wildly different and the 370Z might not feel worth the additional investment. If you were to buy a 350Z now, chances are you’re going to lose very little money in depreciation. If the 370Z is your dream car, it may be worth owning a 350Z for a few years until the price drops a little more to the point where the 370Z is too, a bargain. Who knows? It may even have a replacement one day as Nissan continues their much-loved Z-line!